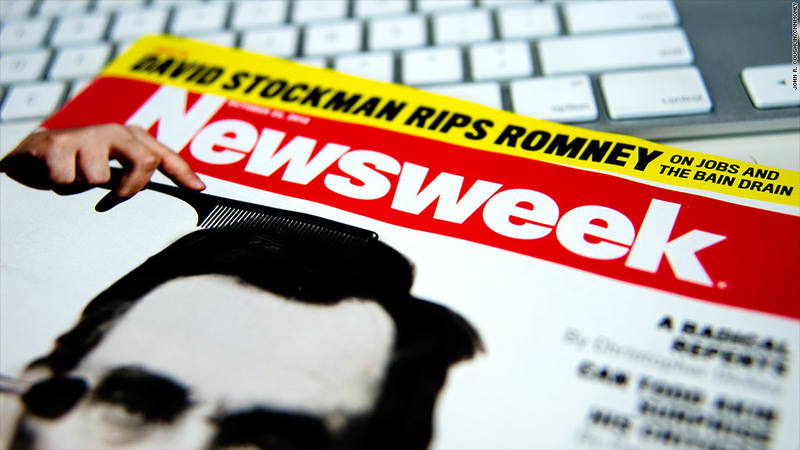 Newsweek will stop its print edition after the Dec. 31 issue. Weekly news magazine Newsweek announced Thursday it will shift to online-only publication next year, discontinuing its print version after 80 years. Tina Brown, the editor-in-chief of both Newsweek and The Daily Beast, the online news site that was combined with the magazine last year, made the announcement on line. 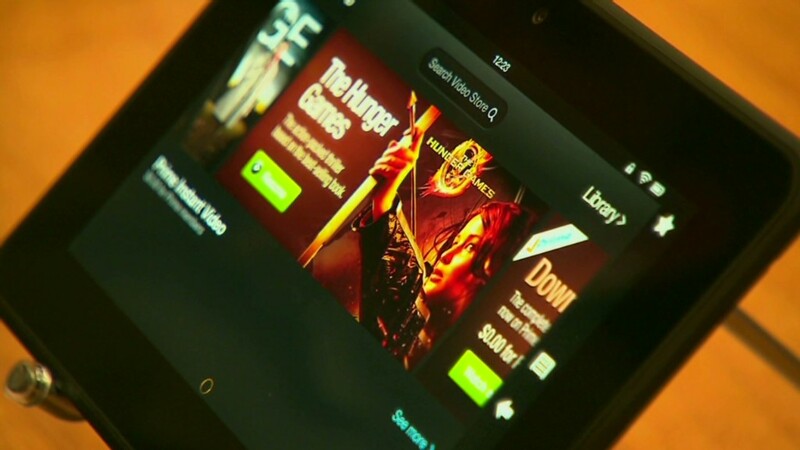 She said the growing use of tablet computers by readers, combined with continued weakness in print advertising, forced the decision. "Exiting print is an extremely difficult moment for all of us who love the romance of print and the unique weekly camaraderie of those hectic hours before the close on Friday night," she said in the statement. "But as we head for the 80th anniversary of Newsweek next year, we must sustain the journalism that gives the magazine its purpose—and embrace the all-digital future." The final print edition will be the Dec. 31, 2012 issue. For decades Newsweek was owned by the Washington Post (WPO). But the Post sold the magazine to audio industry pioneer Sidney Harman in August 2010. It was merged with The Daily Beast in a deal finalized in February 2011, creating a joint venture that was half-owned by IAC/InterActiveCorp (IACI). IAC/Interactive took a controlling interest in the joint venture earlier this year. For its most recent quarter, IAC reported a $7.3 million operating loss from its media unit, of which Newsweek is a major component. Losses are expected to rise the rest of this year. "The [Newsweek] brand is good," IAC CEO Barry Diller told investors during a conference call on company earnings in July. "What is the problem? The problem is in manufacturing, producing a weekly news magazine, and that has to be solved." Shares of IAC were little changed in morning trading Thursday. Newsweek's print edition had a paid circulation of 1.2 million copies over the last 12 months, while it had only 26,394 paid electronic copies on average, according to circulation data printed in the most recent edition. Its paid circulation was over 3.1 million as recently as 2006. Time, its primary competitor, has a paid circulation of 3.3 million for its print edition. CNNMoney and Time are both owned by Time Warner (TWX). Brown said reaching readers in the future increasingly depends on the digital version, citing a Pew Research Center survey that said 39% of Americans get their news from an online source. And there are expected to be 70 million computer tablet users by the end of the year, she said, up from 13 million just two years ago. Despite having so much more paid readership for its print version than its digital version, Newsweek's print advertising has been in a steep, steady decline in recent years, plunging by $334 million, or 70%, between 2007 and 2011, according to figures from the Publishers Information Bureau. While Newsweek enjoyed a rebound in ad revenue in the first six months of this year, that recouped only about 2% of the revenue it lost in the previous four years. And advertising has traditionally been the key to print profitability. The new online publication will be called Newsweek Global. "Regrettably, we anticipate staff reductions and the streamlining of our editorial and business operations both here in the U.S. and internationally," Brown said in the statement, although she did not give any details on the extent of the staffing cuts to come. Richard Stengel, managing editor of Time, said in a television appearance Thursday that he believes there is still value in publishing a paper version of a magazine, despite the costs. "That still is the single the most expensive thing, to chop down trees, to put ink on paper, put it on a truck and deliver it to your house," he said while on MSNBC's "Morning Joe." "But I do think that that becomes a premium product."